While some phones are inspired by the 'less is more' mantra, Samsung's Galaxy Note family has always proudly claimed that 'more is more'. More features, more options, more settings, more ways to interact with your handset, more choice made possible by the use of the best components adding up to the biggest and baddest spec list. To paraphrase a well known cliche, a Note comes with everything and the kitchen sink. 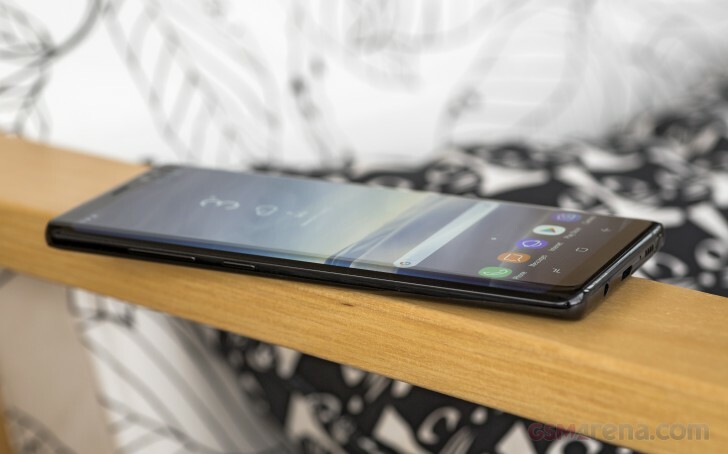 The Galaxy Note8 made a splash last fall, being the first model in the line with a screen curved on both sides that didn't get recalled shortly after launch. Samsung carried over the iconic Infinity Display from its S8 duo released earlier in 2017. The Note8 augments its distinctive design with the S Pen stylus and the Korean company's first dual rear camera setup. Given how Note-starved certain parts of the world have been in the past couple of years, this smartphone has a lot of hype to live up to. On paper it is definitely the best and most feature-packed handset Samsung has ever produced, and yet you may be wondering how that translates into real life, day to day use. You've seen all the usual tests in our normal review, but now it's time to take a deeper and more subjective dive into what makes the Note8 tick. Let's find out if the phone is as nice to handle as it is easy on the eyes, how disturbing those display curves really turn out to be, whether performance is all lag-free, and how the Note8's battery handles a power user's average day. We'll tell you about the quality of snaps its dual camera delivers when you use it all day everyday, and you'll also get an idea of what aspects of the device can get frustrating once you've set it up as your own. Five of us have used the Galaxy Note8 for extensive periods of time, and if you want to know more about what it feels like to carry it around as your one and only smartphone, join us on the following pages as we combine our impressions to draw a well-rounded picture of what sets this model apart from the competition and where it falls short. This is our fifth article in a series of long-term reviews - a format which is still quite new on our website. While our regular reviews are focusing on assessing every aspect of a device's performance in the most objective way possible, the long-term review is where we will give you a more subjective look - an outline of what it's like to live with a specific smartphone every day. We would appreciate your feedback on this new format in the comments section, and we'll do our best to incorporate your suggestions into the next iterations.